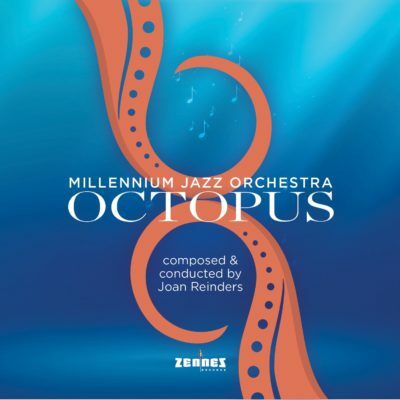 The Millennium Jazz Orchestra is a pure jazz orchestra with Dutch and German professional musicians. Since 1990 the orchestra plays a regular monthly concert in Theater Bouwkunde in Deventer (NL), featuring a famous soloist. Previous guests have been artists like Benny Golson, Kenny Wheeler, Toots Thielemans, New York Voices, Lee Konitz, Wolter Wierbos, Michael Moore, Eric Vloeimans and many others. In addition, concerts are regularly played in theaters and at jazz festivals throughout the country. The Millennium Jazz Orchestra has performed at the North Sea Jazz, in the Concertgebouw of Amsterdam and at The Hague Jazz, to name but a few. In 2006 the Orchestra was invited together with vocalist Fay Claassen to perform at the IAJE in New York. In 2010 a special concert took place in Enschede: Jazz meets Classic meets World Music. The Millennium Jazz Orchestra played with string orchestra Sinfonietta Aurora and singer Esra Dalfidan. In 2009 the orchestra played with the New York Voices in Muziekcentrum Enschede. In 2008 Benny Golson was featured in a special concert in Muziekcentrum Enschede. In 2006 the orchestra was invited together with Fay Claassen to perform at the IAJE in New York, to present the CD production Specially arranged for Fay. In 2006 and in 2004 concerts with Toots Thielemans at the International Jazz Festival in Enschede. In 2005 the orchestra played in the summer series of the Concertgebouw, this time with the famous American group The Four Freshmen . In 2003 The Millennium Jazz Orchestra played together with vocalist Fay Claassen at the North Sea Jazz Festival in Den Haag.